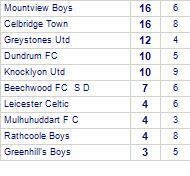 Knocklyon Utd win against Dundrum FC. 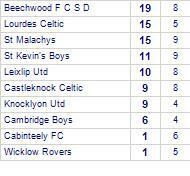 Knocklyon Utd lose to Palmerstown FC. 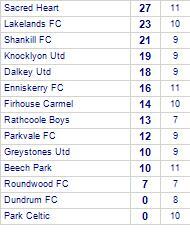 Knocklyon Utd have yet to win at home. 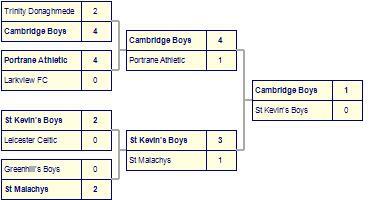 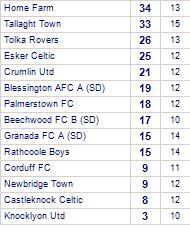 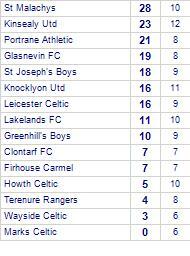 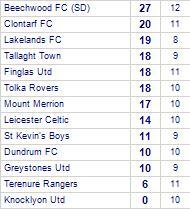 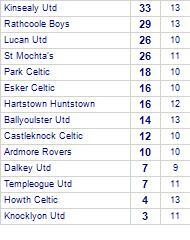 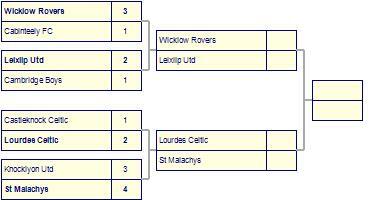 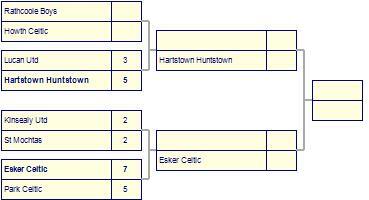 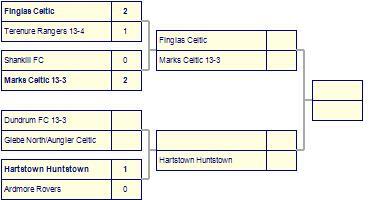 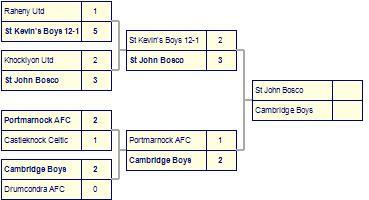 Palmerstown FC have won 3 out of 4 away games. 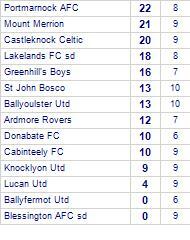 Knocklyon Utd claim victory against Beech Park. 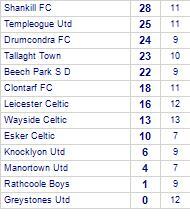 Beech Park have yet to win away from home. 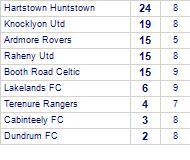 Knocklyon Utd suffer defeat to Sacred Heart.